G.P. Putnam's Sons, 9780399155345, 464pp. Kathryn Stockett was born and raised in Jackson, Mississippi. After graduating from the University of Alabama with a degree in English and creative writing, she moved to New York City, where she worked in magazine publishing and marketing for sixteen years. She currently lives in Atlanta with her husband and daughter. What do you think motivated Hilly? On the one hand she is terribly cruel to Aibileen and her own help, as well as to Skeeter once she realizes that she can't control her. Yet she's a wonderful mother. 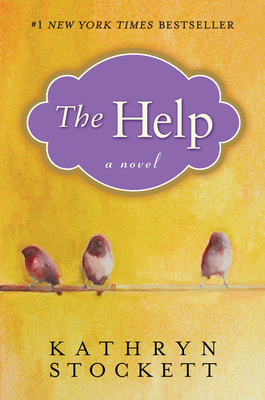 Do you think that one can be a good mother but, at the same time, a deeply flawed person? Like Hilly, Skeeter's mother is a prime example of someone deeply flawed yet somewhat sympathetic. She seems to care for Skeeter— and she also seems to have very real feelings for Constantine. Yet the ultimatum she gives to Constantine is untenable; and most of her interaction with Skeeter is critical. Do you think Skeeter's mother is a sympathetic or unsympathetic character? Why? How much of a person's character would you say is shaped by the times in which they live? Did it bother you that Skeeter is willing to overlook so many of Stuart's faults so that she can get married, and that it's not until he literally gets up and walks away that the engagement falls apart? From the perspective of a twenty-first century reader, the hairshellac system that Skeeter undergoes seems ludicrous. Yet women still alter their looks in rather peculiar ways as the definition of "beauty" changes with the times. Looking back on your past, what's the most ridiculous beauty regimen you ever underwent? What did you think about Minny's pie for Miss Hilly? Would you have gone as far as Minny did for revenge?